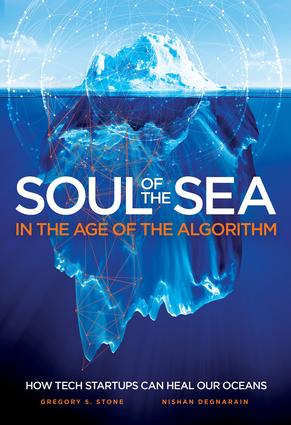 This publication draws upon the fields of science, economics and business strategy to chart the future of humankind's relationship to the ocean. A healthy ocean provides the basis for a prosperous world, and oceans have been largely ignored as a driver of human well-being until now. Ocean health has been in a serious state of decline for the past 100 years from a range of pressures including human population growth, energy consumption and use of natural resources. Humanity will exceed the resources and environmental conditions necessary to exist, within the next century if nothing changes. Solutions to these challenges lie not only in traditional resource conservation management, but in new fields of technology, governance and innovation. Nishan Degnarain is an economist with a strong background in both the public and private sectors. He co-leads the World Economic Forum's Special Initiative on Oceans together with Greg Stone. Since 2013, Nishan has chaired the World Economic Forum's Global Agenda Council on Oceans. Greg Stone is Executive Vice President and Chief Scientist for Oceans at Conservation International (CI). He has given a TED talk and lectured throughout the world. Greg is widely published in scientific literature, National Geographic Magazine, and authored three award-winning books, including Underwater Eden.